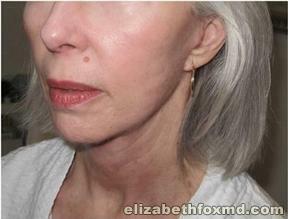 Description: This patient felt that she looked older than she was so Dr.Fox preformed a face lift and a neck lift to help tighten up and smooth out the skin.The photos shown is 4 weeks after procedure. The results are drastically different taking years off her face and neck. 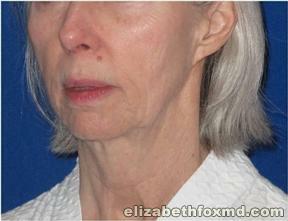 For more information on face lift and neck lift contact Dr. Elizabeth Fox.